Gazprom considers digital technologies to be one of key elements for further improving its corporate governance and strengthening its market positions, as well as a vital tool for achieving its strategic goals, corporate website reported. Systematic work in this area is underway as part of the Informatization Strategy which includes creation and incessant expansion of an Integrated Information Environment (IIE) with a Corporate Data Bank based on key performance indicators. 46 information management systems that automate the most important business processes are already in operation at Gazprom and its core subsidiaries. Those business processes include supervisory control along with management operations in such areas as maintenance and repairs, investments, procurement, logistics, finance, budgeting, accounting and taxes, marketing and sales, property and human resources. 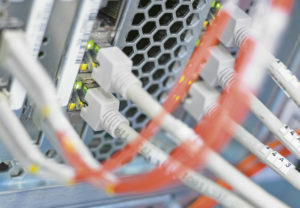 Gazprom Group’s Data Processing Center was built to meet the computational needs of all new systems. The Center operates in compliance with the existing requirements for information security, performance, scalability, integration, and accessibility.